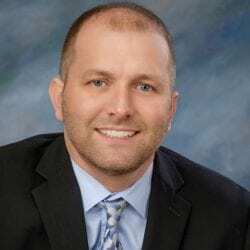 Tyler is a 1995 graduate of Centerburg High School and a 2000 graduate of Baldwin-Wallace College where he earned a bachelors degree in Business Administration. Soon after college he worked for a regional coffee company as a route driver and soon became operations and sales manager over Central and Southeastern Ohio. Being a full time agent since 2005, Tyler has devoted himself to helping others achieve their goals of ownership. In 2014, he became a member of the RE/MAX Hall of Fame and in 2018 was awarded the RE/MAX Lifetime Achievement Award. In 2016 he passed the Brokerage exam and in May 2017 he opened RE/MAX PEAK. Tyler grew up in Centerburg and now lives there with his wife Amanda, son Oliver, daughter Olivia and dog Barley. He enjoys coaching his kids youth sports teams, golfing, the outdoors and time spent with family and friends. The community of Centerburg has had a great impact on him and his family, and he looks forward to helping others realize the importance of community. Tyler has now added Brody Griffith, Bud Olsen, Mike McCoy and Mark Kryling to his team to help provide his clients with the service they deserve. Brody is a 1993 graduate of Centerburg High School and a 1998 graduate of Baldwin-Wallace College where he earned his bachelors degree in Elementary Education. 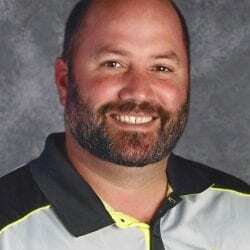 He's currently teaching science, health and physical education at Centerburg Middle School. He also has an auctioneer's license. 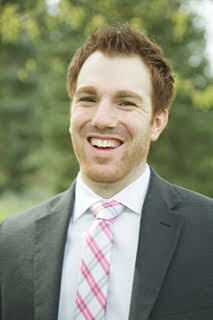 Brody has been a realtor since 2005 and has been a great addition to the team. Brody's hobbies include traveling, golfing, hiking, and watching any and all sports. He lives in Centerburg with his wife Kerry and their two children Rogue and Corra. Bud grew up in a large family in Murfreesboro, Tennessee. He was the 2nd oldest of seven children. Bud attended high school at Franklin Road Christian School and graduated from West Coast Baptist College (2012) located in California. While attending college, he met Chera Mainous, who would become his wife in 2015. She is originally from Central Ohio and he soon moved there to start his family. Bud's background prior to real estate includes working for a custom home builder. His desire to be in real estate stems from his interest in housing and helping others. Bud is excited to be apart of the RE/MAX family and the Tyler Griffith team where his focus will be Columbus and its growing suburbs. Mike grew up in Columbus and graduated from Otterbein College (now Otterbein University) in 1995. 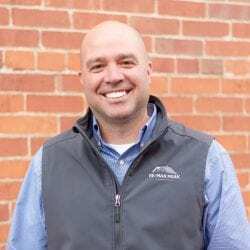 Mike began his professional career in the restaurant business working at the corporate offices of Damon’s International, Bravo | Brio Restaurant Group and Piada Italian Street Food before embarking on a career in real estate. Mike and his wife, Kari, live in Westerville with their kids Morgan and Tripp. Mike’s hobbies include golfing, coaching basketball and watching sports and can usually be found at a sporting event around town. Mark grew up a child of a Navy veteran and moved around every few years until his father retired and they settled in McComb, Ohio in the Northwest corner of the state. He was the youngest of four boys. Mark attended high school in McComb and attended The Ohio State University majoring in Social Studies Education. Mark taught Social Studies for 31 years at Newark High School, retiring in 2017. While living in Newark Mark met his wife, Patty, at the Southgate Church of Christ, where he has attended for the past 28 years. Mark's desire to be in real estate stems from his joy working with people and helping make people happy. Mark is excited to be a part of the RE/MAX family and the Tyler Griffith team where his focus will be the Knox and Licking County markets. 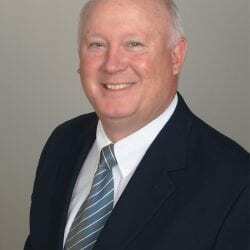 Bob recieved his real estate license in 1987 and passed the broker's exam in 1989. Since his venture into the real estate field he has consistently been among the top-producing agents in the area. 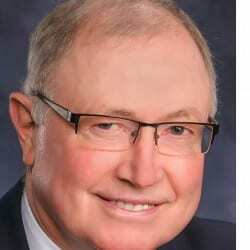 He has recieved the Ohio Association of Realtors Award of Distiction for many years. Bob has served on the Centerburg Local Board of Education and the Hilliar Township Board of Trustees. He has also been a former Knox County Board of Realtors President, a member of the Knox County Chamber of Commerce and a former president of the local Jaycees. Bob and his wife Arlene have sons Brody and Tyler, who are both licensed with Re/Max Stars and a daughter Sheena who resides in Columbus.